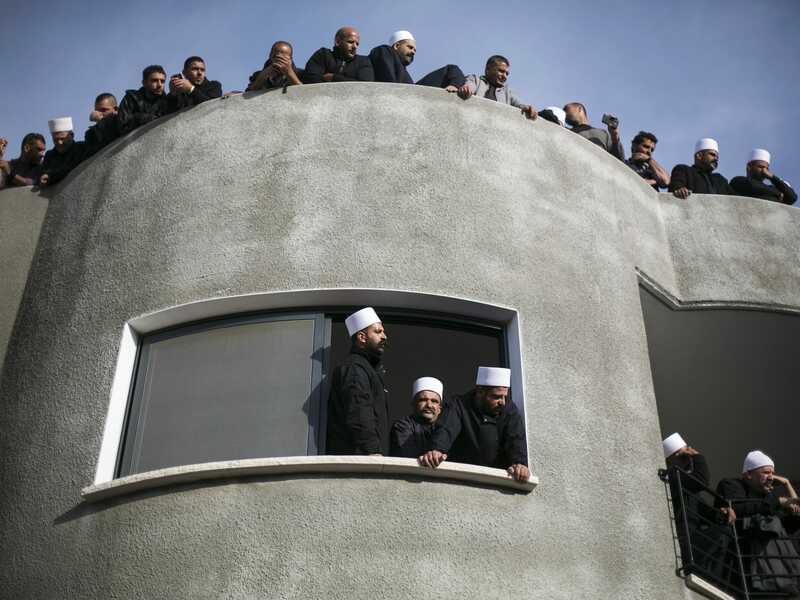 REUTERS/Baz RatnerMembers of the Druze community watch the funeral of Israeli Druze police officer Zidan Nahad Seif in the northern village of Yanuh-Jat November 19, 2014. Two Palestinians armed with a meat cleaver and a gun killed four rabbis and a Druze police officer in a Jerusalem synagogue on Tuesday before being shot dead by police, the deadliest such incident in six years in the holy city. Good morning! Here’s what you need to know for Thursday. 1. At least two people were shot early Thursday at Florida State University’s Tallahassee campus. Royal Bank of Scotland (RBS) has been fined £56 million after a software issue in 2012 prevented millions of customers from accessing their accounts. 3. New satellite imagery suggests North Korea is gearing up for fresh nuclear tests. 4. Mozilla is switching from Google to Yahoo as the default search engine in the US, with a 5-year contract that starts in December. 5. Ebola response efforts in Liberia are being stymied by disagreements between government officials and charities and health agencies fighting against the virus, The New York Times reports. 6. Thousands of people attended the funeral of a police chief that was shot in a terrorist attack at a Jerusalem synagogue. 7. US President Barak Obama is set to unveil an overhaul to immigration rules on Thursday, which will protect millions of undocumented immigrants from deportation, The New York Times said. 8. The chief executive of the company that operated a South Korean ferry that capsized in April was sentenced to 10 years in jail. 9. A state-owned Chinese company has signed a $US12 billion deal to build a railway along Nigeria’s coast in an overseas contract that’s being touted as the country’s largest ever. 10. Morgan Stanley analysts raised the price target on Apple shares from $US115 to $US126 on the belief that investors are massively underestimating the Apple Watch. Fat pigs are driving up ham prices in the United States because their large hind legs are not as desirable to consumers.